Showing recent results 2281 - 2295 of 4500 products found. FIX - AB Controls, Inc. The Fix is a versatile and reliable platform to test PCB's automatically. 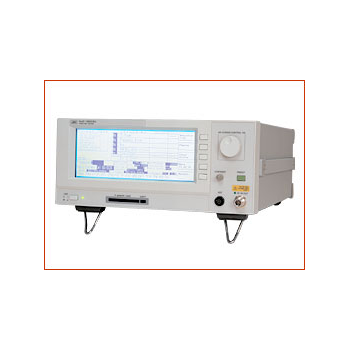 Our LabVIEW-based "FocusOnTest" software allows integration of various test instruments for reliable and fast measurement, data acquisition and data logging with database connectivity. 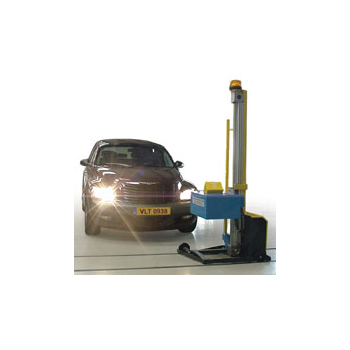 Unique new revolution of Headlight Beam Testing with our VLT patent pending vehicle position scanner system. This model has a fully computerized controlled CCD camera, has the same fully automated vertical and horizontal movements including automated searching of the hot spot of the beam as our VLT 0936, but scans the vehicle and measures the center line of the testing vehicle and makes adjustment of the measuring device if the angle is not the same. 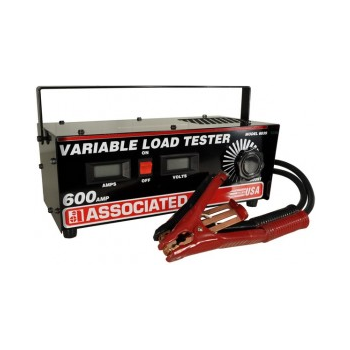 6039 - Associated Equipment Corp.
Easy-to-read DIGITAL voltmeter and ammeter combine with the versatility of a carbon pile load to give a quick and precise determination of battery and charging system problems. 6036B - Associated Equipment Corp. 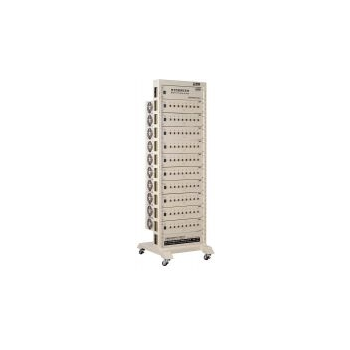 Ideal for battery distributors, high volume testing, and fleet use. High resolution carbon pile assembly, featuring unique curved carbon discs, ensure maximum contact, reduces hot spots, prevents edge burning and provides smoother operation and longer life. High RPM fan cools for continuous battery testing. Voltmeter leads are protected with PVC tubing around cable. MADE IN USA. 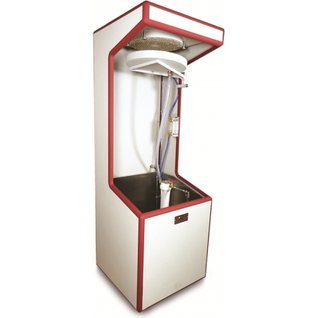 (Optional Model 6038 Cart available for easy mobility). 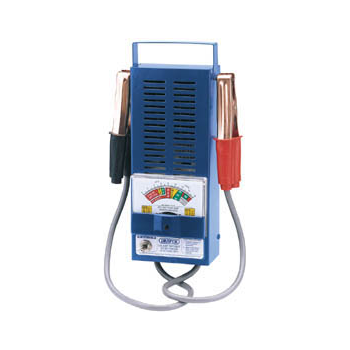 Suitable for testing 6 and 12V lead acid batteries, charging and starting circuits found on most motorcycles, cars, light commercial vehicles, tractors, boats etc. Tests: state of charge, cranking ability, charging system output and starter motor. 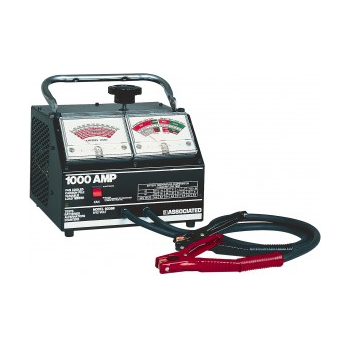 Tests up to 100A. 1. Visible LED status display. 2. Check the RJ11& RJ45 Cable quickly. 3. 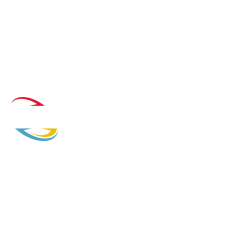 Automatically runs all tests and checks for continutiy, open,shorted and crossed wire pairs. 4. Detect PoE function. 5. 4 lights will be flashing when start PoE test . 6. Slow and fast test switch. 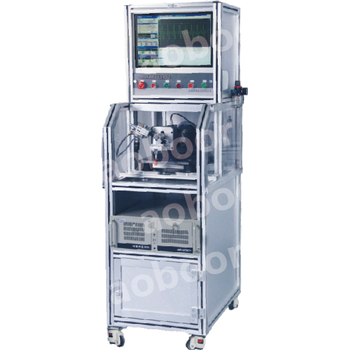 Applicable to brusheless, servo,stepper motor performance test. The Bundesmann provides a water repellency test for fabrics that are being contacted during use such as a rain jacket. Samples are mounted over a cup and are rubbed from underneath during the test. 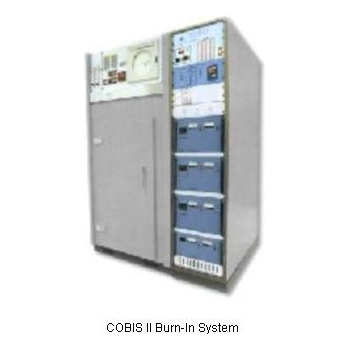 Burn-In Board are an abstract group of PCBs designed to house the components to be Burn-In. Particular attention is paid to the fact that they are subjected to temperature stresses while begin electrically exercised. 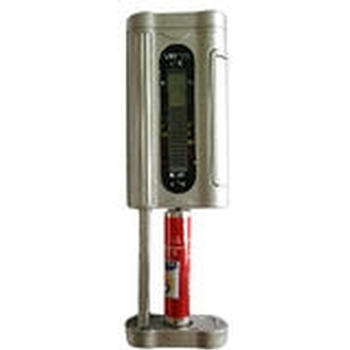 Humidity and other environmental parameters may be applied where Burn-in specifications dictates so. To meet the stringent requirements in terms of material and manufacturing standards for fabrication of burn-in boards, Trio-Tech International has:-A manufacturing facility for all types of Burn-In Boards.A core team of dynamic graduates spearheading the research and development of new and better material and more efficient production techniques.A stringent quality control programme with awards and certificates for example ISO9001.More than 21 years of growth and a vast databank of accumulated technical knowledge to draw from.Facilities for computer aided design of Burn-in Boards. 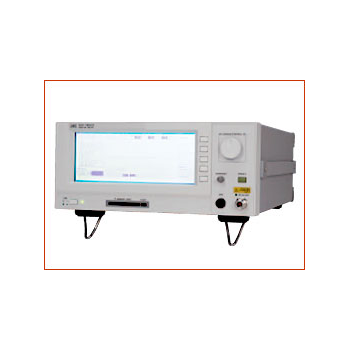 an electronic device intended for testing the state of an electric battery, going from a simple device for testing the charge actually present in the cells and/or its voltage output, to a more comprehensive testing of the battery''''s condition, namely its capacity for accumulating charge and any possible flaws affecting the battery''''s performance and security. 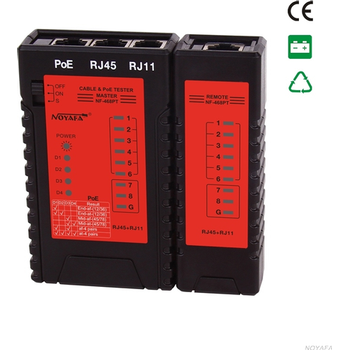 Wide range of applications (cycle, formation, grading, over charging/discharging) &|61557; Voltage output up to 110V, current output up to 3000AAdaptable to a wide range of products (cells, batteries, super-capacitors and battery modules, etc.) Completely independent channels allow users to run multiple independent tests simultaneously without affecting other channelsWith the BTS client software, data is easily viewed graphicallyWork without computer mode, up to 1GB testing data storage capacity. 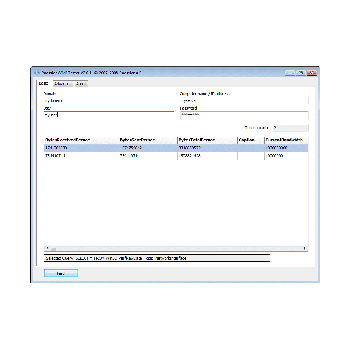 WMI allows a process to read out data for many Windows' configuration parameters as well as current system status values. Access can take place locally or remotely via a network connection. WMI is based on COM and DCOM and is integrated in Windows 2000, XP, 2003, Vista and later. Add-ons are available for Windows 9x and NT4.